At 3:15 a.m. on June 15, Mt. Laurel Police responded to the report of a past tense robbery on the 100 block of Willow Turn. According to police, an 18-year-old male victim reported that an acquaintance came over to his residence to repay money that was owed to him. Police say the victim reported answering the door to his residence at 12:25 a.m., at which time police say the victim reports being immediately assaulted by three men. According to police, the victim ran out of the house as the suspects entered the house. Police say the victim reported that the men stole a small safe and left the area in a vehicle. During the overnight hours of June 14 into June 15, an unlocked vehicle parked on the first block of Horseshoe Drive was burglarized. A Dell laptop computer and cash were stolen. At 2 p.m. on June 15, Mt. Laurel Police responded to the Home Depot on Nixon Drive for a shoplifting report. The loss prevention officer reported he observed a suspect conceal merchandise valued at $157 in a bag. The suspect was stopped before he left the store and he gave the merchandise back. He then ran out of the store and got into a light blue Toyota Avalon. At 11:58 p.m. on June 14, Mt. Laurel Police responded to the report of a vehicle that crashed into a utility pole on the 300 block of Mt. Laurel Road. During the investigation, officers arrested a male, age 20, of Shamong. He was charged with driving while intoxicated and released pending a court hearing. On June 12, a wallet belonging to an employee was stolen from an office at a hotel on the 1100 block of Route 73. The wallet contained cash, credit cards, and identification. At 12:40 p.m. on June 13, Mt. Laurel Police responded to a motel on the 1100 block of Route 73 for a trespassing complaint. During the investigation, officers arrested a male, age 28, of Maryland. The man was wanted for parole violations. He was charged with being a fugitive from justice and committed to the Burlington County jail. During the overnight hours of June 12 into June 13, an unlocked vehicle parked at a residence on the 600 block of Mt. Laurel Road was burglarized. A purse containing cash and credit cards was stolen. The credit cards were fraudulently used online. At 2:15 a.m. on June 13, an officer observed suspicious activity at a motel room on the 1100 block of Route 73. The investigation resulted in the arrest of a female, age 21, of Oakland, Calif. and a male, age 23, of Gibbsboro. The female was charged with engaging in prostitution and released pending a court hearing. The male was charged with engaging in prostitution and possession of less than 50 grams of marijuana. The male was released pending a court hearing. 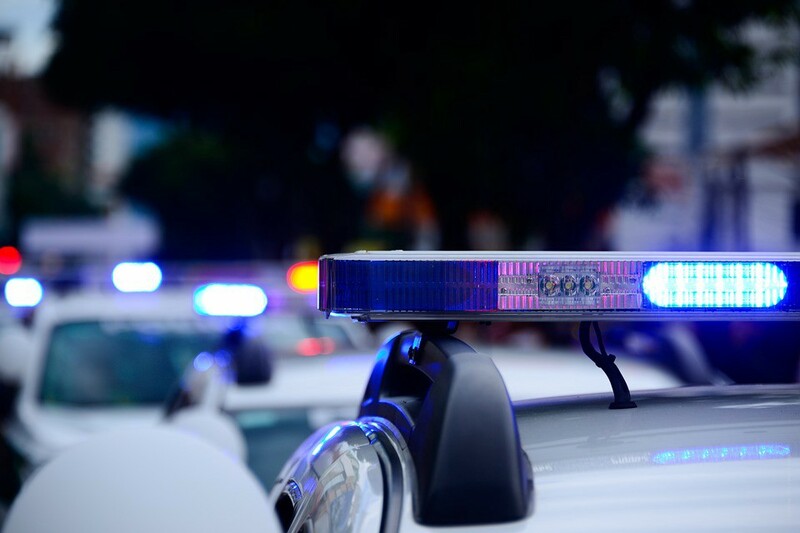 At approximately 11:30 p.m. on June 12, an officer observed suspicious activity at a motel room on the 1100 block of Route 73. The investigation resulted in the arrest of a female, age 34, of Camden, and a male, age 28, of Cherry Hill. The female was charged with possession of crack cocaine, possession of drug paraphernalia and engaging in prostitution. She also had several outstanding warrants for her arrest. She was committed to the Burlington County Jail. The male was charged with loitering for the purpose of engaging in prostitution and released pending a court hearing. At approximately 3:30 p.m. on June 11, a purse was stolen off of a table at Coco Keys, 915 Route 73, after it was left unattended. The purse contained cash, credit cards, and an Apple watch. At 2:56 p.m. on June 11, Mt. Laurel Police conducted a motor vehicle stop on Route 73 near the NJ Turnpike. During the stop, officers arrested a male, age 37, of Bellmawr. He was charged with driving while intoxicated, possession of hypodermic syringes, and being under the influence of a controlled dangerous substance. He was released pending a court hearing. At 9:50 p.m. on June 10, an iPhone 7 was stolen from an unlocked vehicle while the victim was in the 7-Eleven, 3163 Marne Highway, for a few minutes. At approximately 4 p.m. on June 10, an elderly woman accidentally left her purse in the restroom of Burger King, 3109 Route 38. She returned a short time later to find it gone. The black leather purse valued at $100 contained $160 in cash, her license and several credit cards. Several unlocked motor vehicles were entered during the overnight hours of June 9 into June 10. Wallets, credit cards and cash were stolen. The vehicles burglarized were parked on Bentley Drive (Laurel Knoll development) and Woodview Drive (Saybrooke Estates). At 4:40 a.m, on June 10, Mt. Laurel Police responded to an activated burglar alarm at Saladworks, 3131 Route 38. The investigation revealed the burglar(s) gained entry to the business by breaking a front glass door. A cash register was forced open and a small safe was stolen from an office. An undetermined amount of cash was stolen. At 9:04 p.m. on June 9, Mt. Laurel Police responded to TJ Maxx on Centerton Road for a shoplifting report. The investigation resulted in the arrest of a male, age 49, of Camden, for attempting to steal $162 worth of merchandise. He was charged with shoplifting and possession of hypodermic syringes. He was released pending a court hearing. Between 5:20 and 6:50 p.m. on June 9, an unlocked vehicle parked in the Lifetime Fitness parking lot, 3939 Church Road, was entered. A wallet containing cash and credit cards was stolen. The credit cards were later used in another jurisdiction.